Hi there, my name is Mike and I am the CEO of Aerobility. Welcome to our website. Please have a good look round at all the amazing aviation activities we run for disabled people. 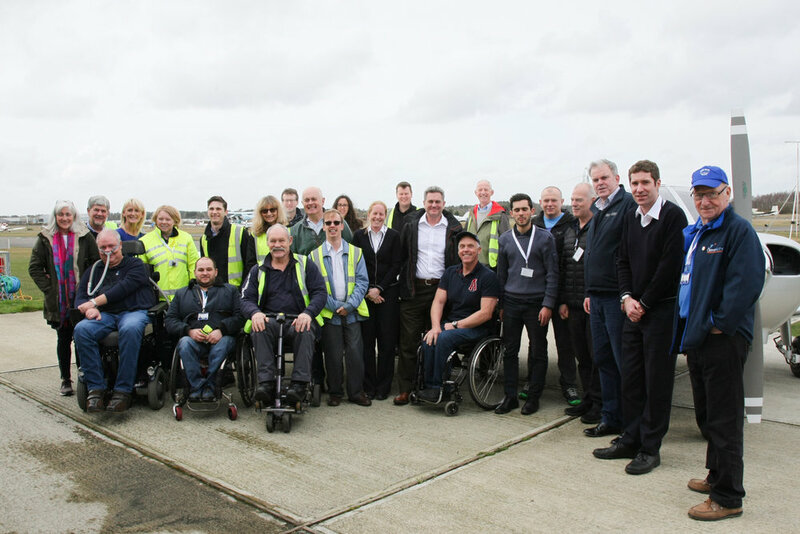 As well as flying, we also hold ground based training sessions, an Aviation Club for young enthusiasts, simulator days and many other activities for the disabled community to get involved in. You will also find details of how you can volunteer, fundraise, donate and where and when you can join us at all our events throughout the year. It's great fun up in the sky so come and have a go! You can get in touch by sending us an email, giving us a call or contacting us through social media. Our CEO Mike Miller-Smith explains just what Aerobility is all about in this short video. A rare shot of the full Aerobility team.